Do you know what's funny? Like, what's seriously the funniest thing ever to do ever in the whole world ever? Telling someone who is old...that they are old. HAHAHAHAHAHAHA oh god just thinking about it made me laugh all of the fun -guts out of my body. 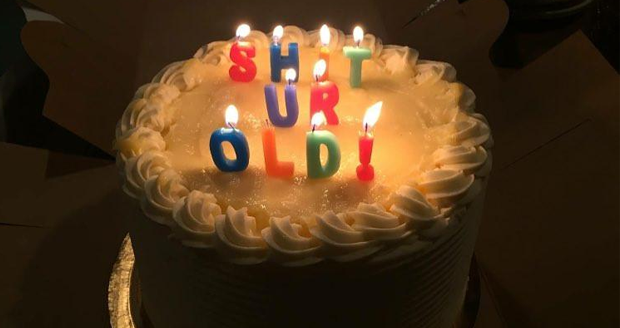 These S**t Ur Old Candles are the perfect way to achieve this. 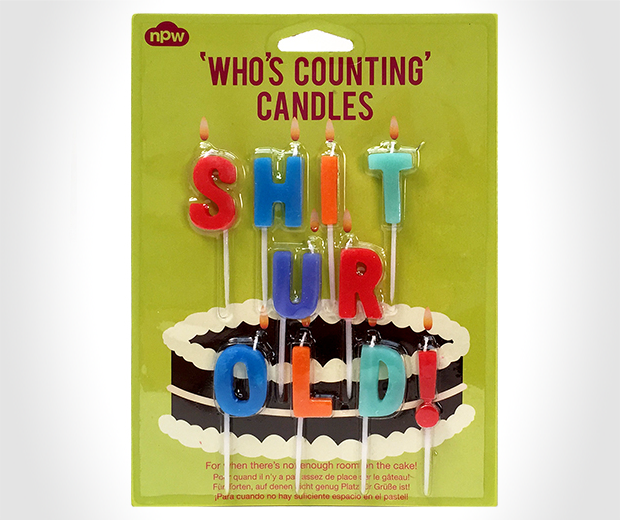 Just pop them on the birthday boy or girl's cake, light them, step back, and wait for hilarity to ensure. If laughter fails to be aroused, simply make a list of all the famous people who were dead at your age. That'll show em.